Where do you need Roofing Contractors? Comment: replace roofing and gutters. Comment: Repair roof over porch. Hole caused by branch from tree last windstorm the branch went through the roofing paper and through the plywood. The whole is over the porch which is covered by Roofing paper and plywood. The hole is approx. 6-8 inches across. The roof is 2 yrs old so there shouldn't be any major problems. Comment: We had shingles blow off during high winds about a month ago. We need to assess the damage before possibly submitting an insurance claim. Comment: Need to replace old roof that is rotting and disintegrating along bottom edge along gutter. Real Estate Assistance Home Improvement Co.
Ballwin Roofing Contractors are rated 4.83 out of 5 based on 1,566 reviews of 64 pros. 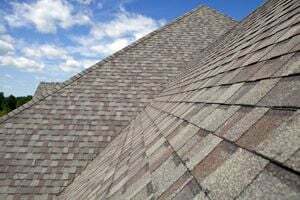 Not Looking for Roofing Contractors in Ballwin, MO?